I'm just swinging in today to share a card I made for the current Where Creativity Meets C9 Challenge #3! Being my little shaker isn't terribly huge, I wanted to make sure I focused on that and not add too much of anything more that would draw you away from it. 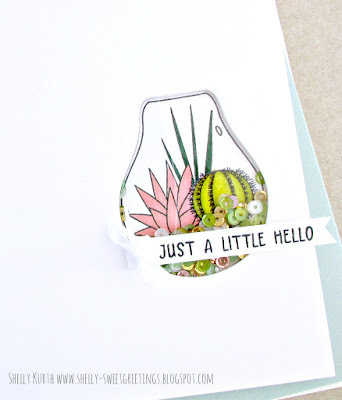 Gorgeous little CAS shaker! Love the colors! So pretty! I love the little mini shaker!! No pattern paper needed!! 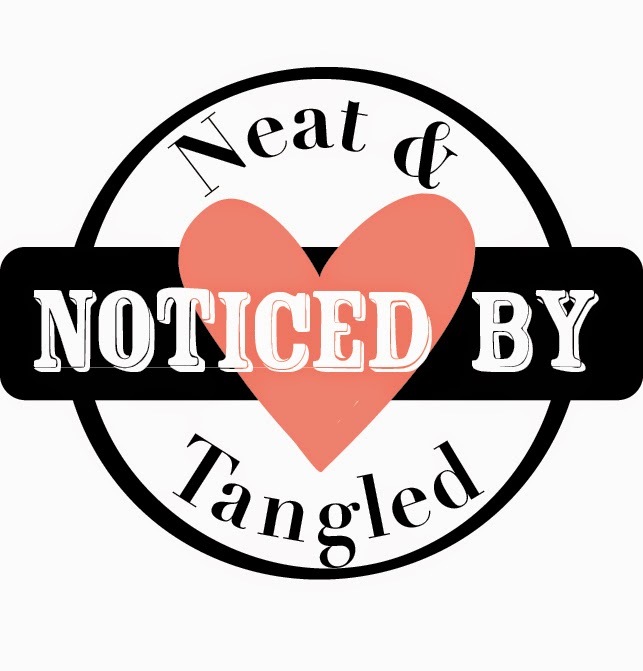 Shelly, this is perfect...such a sweet shaker! 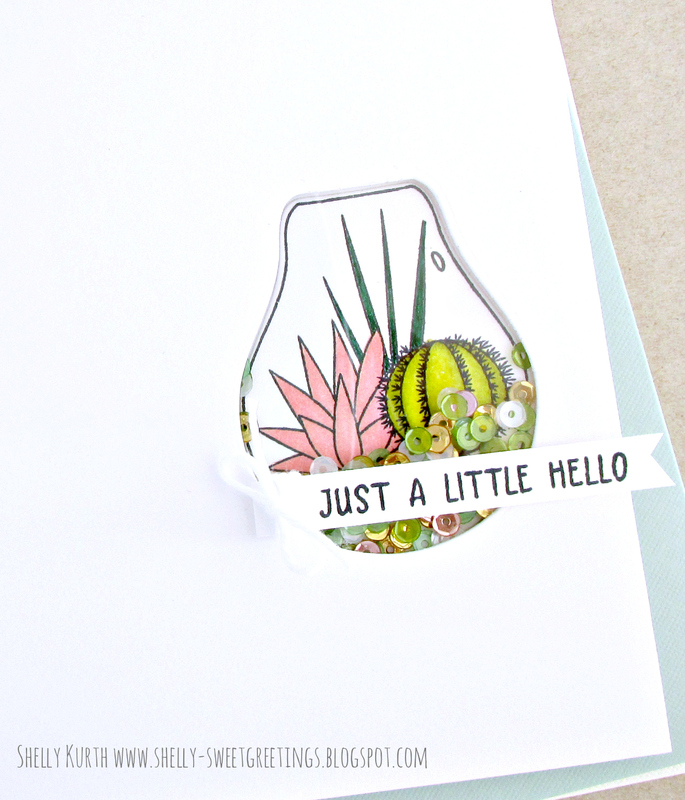 Totally smitten with your shaker of sweet, pretty cacti! That set is still awaiting attention over at my place; you've given me wonderful inspiration! Another WOW! Adorable little shaker! It stands out beautifully on its own! 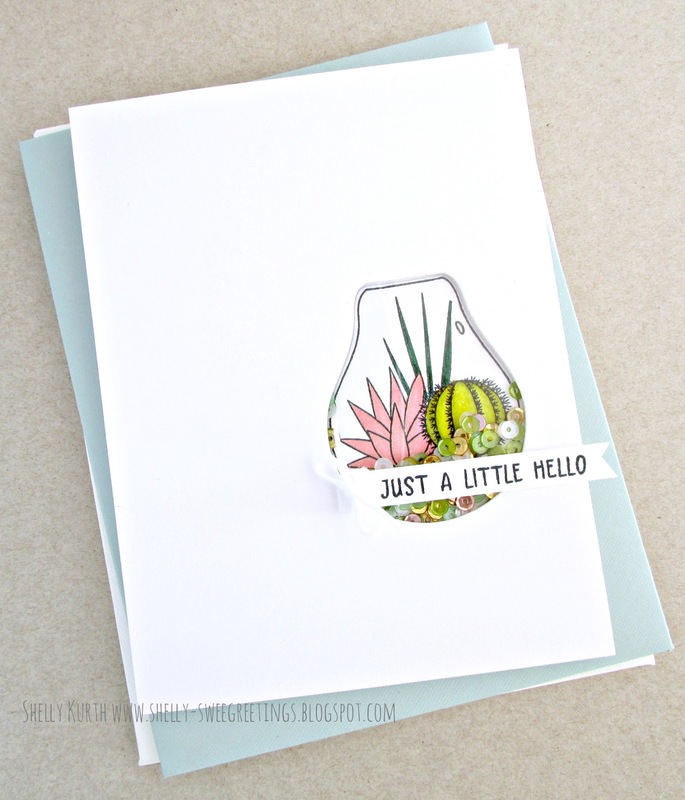 Shelley, I adore your CAS style...always so refreshing and pleasing to the eye! This shaker is perfect! Love it! Thanks so much for joining us in our Spsrkle & Shine Challenge at Where Creativity Meets C9! WHAT a sweet little shaker - didn't even realize from the thumbnail that it was a shaker. Perfectly CAS. Perfectly you! Excellent shaker card! Thanks for joining us over at Where Creativity Meets C9!